Dr. Earl Radmacher, writer, speaker, and longtime faculty member and president of Western Seminary, has passed away. Recovering Grace readers will remember Dr. Radmacher as a determined proponent of investigation and genuine restoration in the wake of the 1980 Institute in Basic Youth Conflicts (IBYC) scandal, and of dialogue between Bill Gothard and theologians concerning IBYC/IBLP’s teachings. As early as 1973, when the Basic Seminar was near the height of its reputation and popularity, Dr. Radmacher attempted to privately address theological concerns with Institute teachings. As he learned more of the pragmatic effects of Gothard’s conduct and teachings on the Institute staff, he became a tireless advocate for bringing the truth of the situation to light for the purpose of restoration and healing. Below are links to tributes from Dr. Radmacher’s colleagues and students, and links to four Recovering Grace pieces wherein Dr. Radmacher’s work as both a peacemaker and an advocate for truth are chronicled. His family and friends must find comfort in the evident fruit of Dr. Radmacher’s life. Some fruit takes decades to ripen, and we want the family to know that his faithful service continues to help set captives free. Western Seminary publishes a tribute to Dr. Radmacher’s life and work. 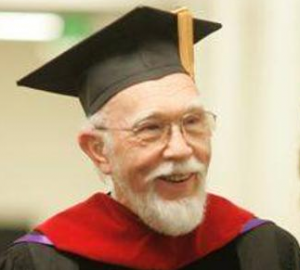 Western Seminary issues an invitation Dr. Radmacher’s January 10, 2015 memorial service in Portland, Oregon, and hosts an online page for sharing memories of his life. This transcript excerpts a 1983 conference call discussing events leading up to and during the IBYC scandal and cover-up. Those involved in the discussion included Larne Gabriel, Ruth Gabriel, Reverend Richard Hagenbaugh, Dr. Earl Radmacher, and Dr. Gary Smalley. This post provides the full text of four articles from 1976, 1984, and 1993 addressing Institute teachings. David Henke’s section on hermeneutics quotes an exchange between Radmacher and Gothard. Seminary professor Dr. Ron Allen documents his years of rebuffed attempts to enter meaningful dialogue with Bill Gothard about teachings in the Basic Seminar and other Institute materials, and records Dr. Radmacher’s attempts to facilitate dialogue. Many years ago, I was a student at Moody Bible Institute when Dr. Radmacher was the featured speaker during Founder's Week. He spoke every day, and at first I thought he was dry and boring. As the week went on, I realized he was just careful and methodical, and my appreciation of him grew. I learned more from his teaching than from any of the other speakers; I still remember some of his points. I'm sure many other former students can give praise to Christ for Dr. Radmacher! While Ruth and I never had the privilege to personally meet Dr. Radmacher and our contact was only by phone. He was a gentle man who treated Ruth and I with kindness and respect. He will be missed as a man of God who sought truth. I am sure Ruth will now met and thank Dr. Radmacher in heaven. Maybe God bless his family since it is always difficult to lose someone during this Christmas season. Thanks, as Christians the true hope we have is the joy of knowing those that go before us walk with our Savior and someday we too will join them on streets made of gold with no sorrow or pain! I will be in prayer for Dr. Radmacher's family during this time. I just re read the letter by Dr. Allen, which I first read in 2002. I thank God for the faithfulness of men such as Dr. Radmacher and Dr. Allen.